“Incredible Force of Joy” is the second installment in “The Bibleman Adventure,” which is itself the second incarnation of the show. “The Incredible Force of Joy” was directed by Eric J. Smith, and written by Albert Upton and Cory Edwards. This marks the first time that star Willie Aames was not involved in either the writing or direction of the episode, at least as far as the listed credits go. The villain in “The Incredible Force of Joy” is basically just the return of Shadow of Doubt from the previous episode, but now under the name of Master of Misery. His henchman, Ludicrous, is also back, and a second supporter is introduced in the form of an evil computer named L.U.C.I.. L.U.C.I. 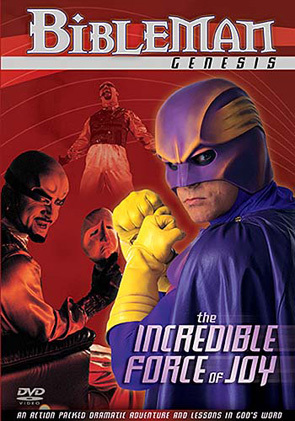 is essentially the counter-balance to Bibleman’s computer, U.N.I.C.E., and continues to appear throughout the series. This practice of re-using villains under new monikers also continues throughout the rest of the Bibleman franchise. The story of “The Incredible Force of Joy” centers on this new villain called the Master of Misery, who has developed some sort of weapon and computer program that can make people sad. He manages to infiltrate Bibleman’s lair, and corrupts his computer with the program, creating chaos for the team. Meanwhile, the Master of Misery launches his evil plan to corrupt children by making a young child miss a science fair. Bibleman, as always, has to figure out a way to foil the villain’s plans, and help the young boy make the science fair. This also marks perhaps the only time that Bibleman has supported science in any way. “The Incredible Force of Joy” marks some notable improvements to the Bibleman costume. The appearance is more streamlined than the previous incarnation, and the cowl is pretty dramatically altered as well, with a gradient of purple and yellow. Once again, the villain knows the location of Bibleman’s lair for no stated reason, which raises some questions for me as to whether theere might be a mole within Bibleman’s inner circle. However, Bibleman doesn’t seem particularly alarmed by that fact, which struck me as kind of odd. “The Incredible Force of Joy” features the first iconic full armor sequence for Bibleman, and is also the first episode to have a live performance incarnation. 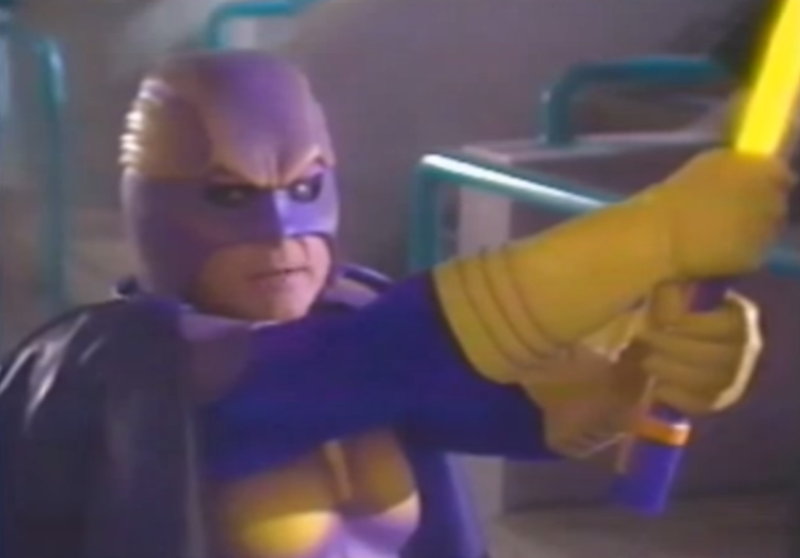 The audio of the full armor sequence takes over for the old “The Bibleman Show” theme song in the introductory credits, completing the transition into “The Bibleman Adventure” series. The plot of “The Incredible Force of Joy” features an awful lot of jargon-packed computer hacking magic that doesn’t make even a shred of sense, particularly on the part of the bad guys. The astounding misunderstanding of technology pops up a few more times in the series going forward, at least in some of the episodes that I have already seen. Once again, this shows just how callous, unforgiving, and violent Bibleman and his crew can be, making him more like a comic book antihero (The Punisher) than a traditional superhero (Superman, Captain America). Interestingly, U.N.I.C.E., Bibleman’s computer, is the one who ultimately kills the Mastery of Misery, which sets a dangerous precedent in my mind about artificial intelligence committing murder. Overall, “The Incredible Force of Joy” is another middling episode in the series, but the quality of the show from a production standpoint is clearly steadily improving. 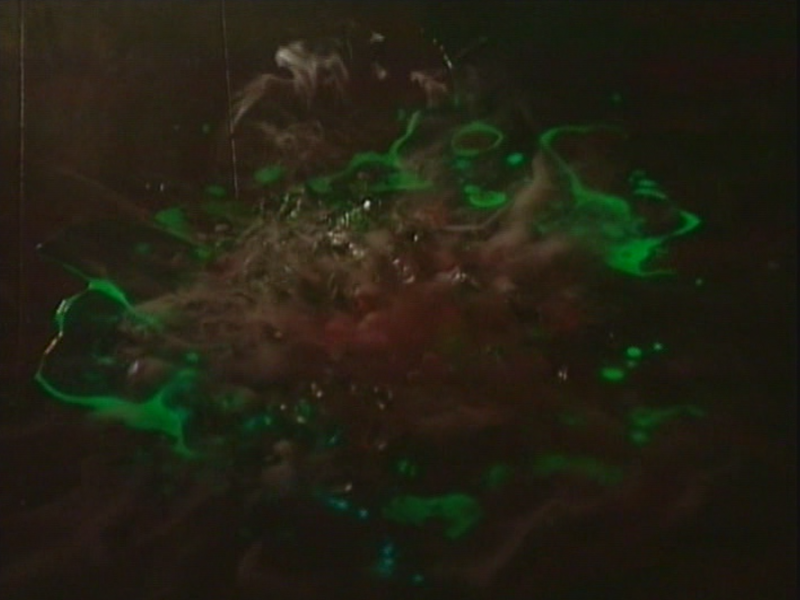 The villain here is once again a bit forgettable, but the techno-magic provides some entertainment value to the episode. The attempts at humor of course still fall flat, but there are some unintentional laughs to be had here.